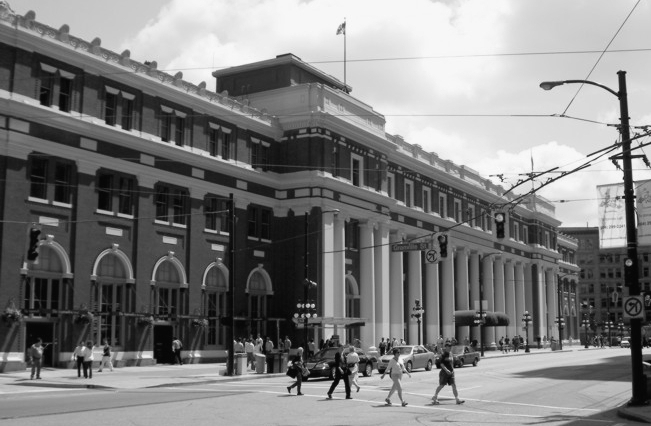 Situated at the western end of Gastown, Waterfront Station has many ghosts. In fact, it’s probably the most haunted building in downtown Vancouver. Built by the Canadian Pacific Railway in 1915, the station was the Pacific terminus for their transcontinental passenger trains from Toronto and Montreal until it was taken over by VIA Rail in 1979. Today, this heritage building is a busy hub that connects passengers between the city’s various public transportation systems. These include the SkyTrain, the SeaBus, the West Coast Express train, city buses, and Helijet’s helicopter service to Victoria. The Waterfront Station is a grand place, built in an era when travelling by train had a sense of class and elegance. The west side of the building housed restaurants and a dance hall. The east wing contained full-time residences and lodging for travellers. 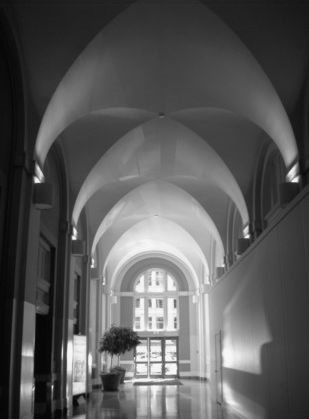 Today, a restaurant occupies the east wing on the street level. On the upper floors, some rooms are taken up by business offices. The rest are either vacant or used for storage. In modern times, the Waterfront Station’s night security guards have witnessed apparitions and poltergeist-like activities. One night, a guard saw the ghost of a woman in a 1920s flapper dress. She was dancing alone in a corridor on the west side of the building. He could hear the sound of 1920s music playing as she danced. When he approached her, the music stopped and she suddenly vanished. Another security guard received the fright of his life while patrolling the northwest corner of the building. As he entered an empty room with nothing but his flashlight to light the way, he encountered the ghost of an old woman. She was glowing phosphorous white and had a mournful look on her face. As he stood stupefied, she reached out to him. Completely terrified, he ran from the room. On an upper floor in the east side of the building, another guard experienced poltergeist-like activity while on night patrol. As he walked through a room used to store a number of old desks, the desks moved together behind him without a sound. When he turned to make his way back through the room and realized he was blocked by the desks, the stunned and badly frightened security guard leapt on top of the desks and ran from the room. In addition to these encounters, various security guards at the Waterfront Station have heard the sounds of phantom footsteps walking on the tiled floors of the building late at night when nobody else is around. Others have seen the ghosts of three little old ladies sitting on a station bench, as if waiting for a train that never arrives. The beautiful Waterfront Station is a very haunted place indeed. Outside the Waterfront Station, on the multiple railway tracks north of the building, the ghost of a rail worker is sometimes seen on rainy nights. In 1928, the unfortunate brakeman, Hub Clark, was killed while he was making repairs in the rail yard. He slipped on the wet tracks and was knocked unconscious. Horrifically, a passenger train came along and ran him over, decapitating him. Since then, some have reported seeing the headless brakeman roaming the tracks, his lantern glowing in his hand. Others say they’ve seen him in different parts of Gastown. Does he think he’s still on the job or, even worse, is the poor man looking for his lost head?